Democratic members of Congress want taxpayers to subsidize their housing, signing onto legislation that would allow them to deduct living expenses for members of the House of Representatives. Rep. Bennie Thompson (D., Miss.) introduced a bill that would ban members of Congress from sleeping in their offices and would change the tax code to allow House members to deduct their spending on housing in D.C. up to $3,000. The deduction would not apply to senators. 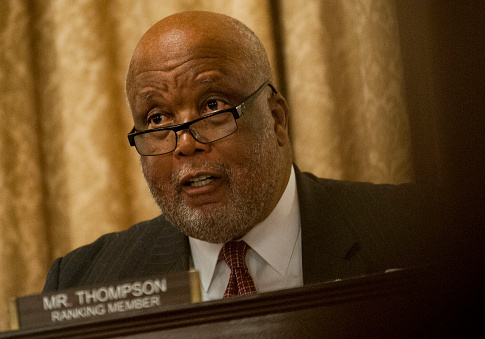 Thompson has also proposed turning a vacant building near Capitol Hill into apartments for House members at the expensive of taxpayers, which critics have dubbed a "Congressional Animal House." The taxpayer-watchdog group Citizens Against Government Waste criticized Thompson's legislation and his proposed "taxpayer-funded dorms." "On May 16, 2018, Rep. Thompson introduced H.R. 5845, the ‘No Couches for Congress Act,' which would ban members of Congress from sleeping in their offices," the group said. "He also proposed converting vacant residence halls near the Capitol into ‘affordable‘ housing for members of Congress, who make $174,000 per year. He claimed that it would be available for members who found housing costs to be ‘prohibitive.'" "However, the claim that housing is unaffordable is belied by the average monthly cost of a studio apartment in Washington, D.C., which is $1,602, or less than 10 percent of members' annual salary," CAGW continued. "The average American spends 33 percent of his or her annual income on housing." The bill introduced by Thompson would prohibit congressmen from "using their congressional offices for personal overnight accommodations." It would also amend the tax code to "allow a deduction for living expenses incurred by Members of the House of Representatives." Text of the legislation changes section 162(a) of the Internal Revenue Code of 1986, which currently bans deductions for living expenses for members of Congress. The legislation amends the code to allow for up to a $3,000 deduction for costs incurred while living in D.C. away from their home states. The legislation has 23 cosponsors, all Democrats, including James Clyburn (S.C.), Hank Johnson (Ga.), Elijah Cummings (Md. ), and Marcia Fudge (Ohio). Other members of Congress are not on board and have called Thompson's proposal for a "congressional dorm" a bad idea. "The more I think about it, the less likely I would be to support it," Rep. Mike Bishop (R., Mich.) told the New York Post. "It might be a breeding house for something bad." "I'm here to work, not relive my college days in a taxpayer-funded dorm," added Rep. Dan Donovan (R., N.Y.), who sleeps in his office to save money. "Our national debt is over $20 trillion, so I don't think it's a great use of taxpayer funds to build Congress a dorm," he said. Request for comment from Thompson's office was not immediately returned. "Public service is not supposed to be comfortable or luxurious," said Tom Schatz, the president of Citizens Against Government Waste. "Taxpayers send these men and women to Washington to work and pay them a salary that is more than three times that of an average American. Congress should focus on getting America's fiscal house in order and spend less time trying to create a Congressional Animal House." This entry was posted in Issues and tagged Congress, Democrats, Government Spending. Bookmark the permalink.